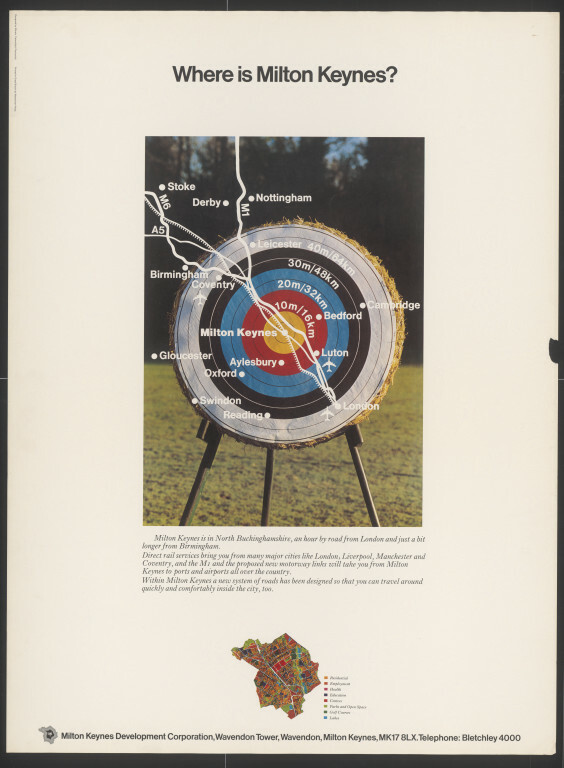 Poster featuring a photograph of an archery target overlaid with a map illustrating the distance from Milton Keynes, at the bulls eye, to various important towns and cities. At the bottom of the poster is a plan of the future Milton Keynes with different sections of the city picked out in different colours. 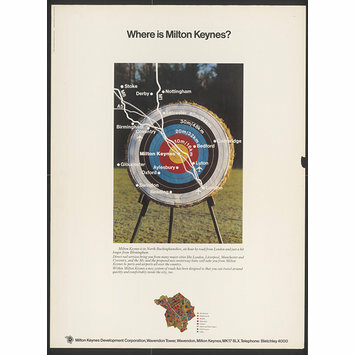 Poster, 'Where is Milton Keynes? ', poster designed for the Milton Keynes Development Corporation by Minale Tattersfield, Great Britain, 1973, colour offset lithograph.